Tiffany R. Warren is Senior Vice President, Chief Diversity Officer for Omnicom Group. She oversees a team focused on Omnicom-wide change efforts for the advancement and retention of top performing talent inclusive of women, people of color and LGBT’s in an inclusive work culture. 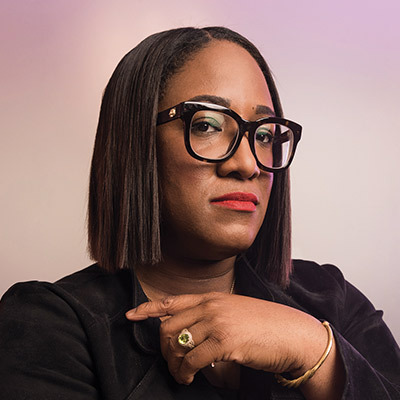 Recognized as a leader in the field of diversity, Tiffany is a talent strategist with 19+ years of championing diverse professionals in the advertising industry. In 2005, she founded ADCOLOR, which has launched the ADCOLOR Industry Conference, ADCOLOR Awards and ADCOLOR University. As President of ADCOLOR, she is deeply involved in the direction the industry is taking around diversity. Always thinking forward, and looking for new ideas, Marc Stephenson Strachan brings significant credentials to Diageo. Marc is currently responsible for the development of three-tier initiatives, which drive local market commercial, marketing and corporate relations programming. Marc also provides executive leadership and guidance to the national diaspora of constituents that have an interest in the Beverage Alcohol industry. Marc has led positions as North America Vice President of On Premise Strategy and Multicultural Marketing, Director of Brand Marketing for Ciroc Vodka, and Tanqueray Gin, overseeing the USA marketing and strategic initiatives for the Brands. Marc's career combines over thirty years of agency and client management experience on a variety of levels. 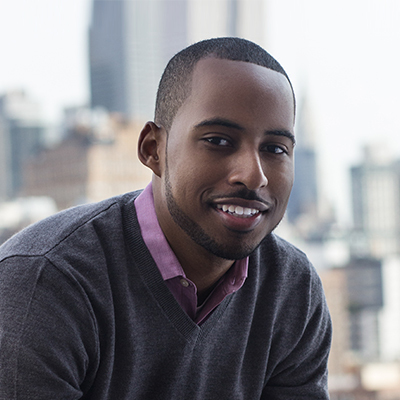 Marc began his career on Madison Avenue as a MAIP Intern at Compton Advertising (now Saatchi). His career has seen stints at NW Ayer, the Mingo Group, Leo Burnett (where he co-founded Vigilante), and BBDO. His focus on strategic, niche marketing and targeted program development is one of the keys to his career accomplishments. Marc is the Chair of the Board of ADCOLOR, Inc. He also serves on the Board of the Alvin Ailey American Dance Theater, as a member of the Executive Committee and Chair of the Development committee, the Board of Directors of the Association of National Advertisers, and the Board of Trustees of Adelphi University. A recipient of numerous industry awards and accolades, Marc is a proud native of Brooklyn, New York. Marc and his family current reside in Manhattan, New York. Constance Cannon Frazier joined the American Advertising Federation (AAF) in January of 2004 as the senior vice president, AAF Mosaic Center and AAF education services. She was promoted to executive vice president after one year of service to the organization. In October of 2007, Frazier became the AAF’s executive vice president of corporate programs and marketing and as of August of 2010, Frazier is AAF’s chief operating officer. As COO, Frazier manages the AAF’s day-to-day operations (financial and human resources), implements programs and systems to advance the organization’s effectiveness, and executes the Strategic Plan developed by the CEO. She also assists the CEO with the retention and development of corporate, professional and college chapter membership and continues to lead the Mosaic Center and AAF’s efforts to create a more inclusive advertising industry. Since joining the AAF in 2004, Frazier’s accomplishments include increasing corporate support of diversity programs, doubling the number of participants and financial support for the Most Promising Minority Students Program, launching the AAF Mosaic Career and Vendor Fairs and creating the first-ever AAF student conference. Frazier achieved national recognition as an advertising educator during the twelve years, she taught at Howard University in Washington, DC. While at Howard she also coordinated the advertising sequence and created the University’s multicultural high school advertising summer workshop. Her students were also the first students from an HBCU to participate in the AAF’s National Student Advertising Competition. She has extensive professional experience in the advertising industry through previous positions and consulting. Frazier also served with distinction on the AAF Board of Directors as the chair of the AAF National Academic Committee. She has been recognized with numerous awards from corporations and academia, including the Howard University School of Communications Legacy Alumni Award; Zeta Phi Beta Sorority Inc. Get Engaged Project Award; ADCOLOR Unsung Hero Award, and the Gerald Sass Award for Distinguished Service to Journalism and Mass Communication. She is also the only educator to receive the AAF District 2 Diversity Achievement Award in Education. Most recently, she accepted the Missouri School of Journalism Honor Medal for Distinguished Service in Journalism on behalf of the Mosaic Center. Currently she sits on the ADCOLOR Board of which she is a founding member. She is a former member of the Howard University School of Communications Board of Visitors, the University of South Carolina School of Journalism and Mass Communications Partnership Board and the Accrediting Council on Education in Journalism and Mass Communication. She holds a Master of Business Administration from Tulane University and Bachelor of Arts in Journalism from Howard University. 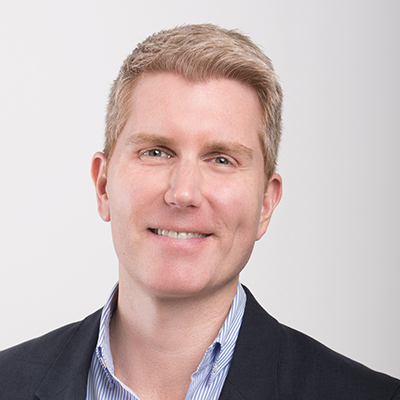 As Associate General Counsel - Corporate for Omnicom, Eric is responsible for multiple aspects of Omnicom's legal function with a primary focus on corporate governance matters. Eric has been at Omnicom for more than ten years, and prior to that he spent five years with the law firm Dewey Ballantine where he was an Associate in the Mergers and Acquisitions Group. Eric serves on the Board of Directors and as a member of the Executive Committee of AdColor, an organization dedicated to championing inclusion and diversity within the creative industries. 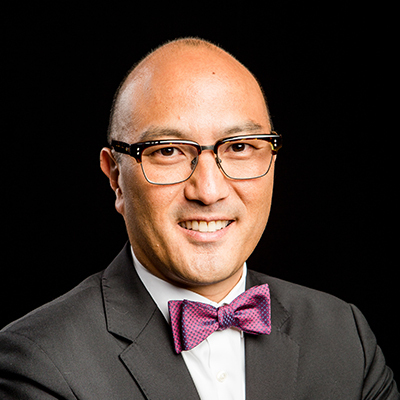 Throughout his career, Eric has been involved with various pro bono projects such as LGBT asylum and housing advocacy for public housing tenants. Eric received a BA from Columbia University and a law degree from Fordham University where he was an Editor of the Law Review. Eric lives in Manhattan's West Village, and is always researching the next city to explore. Doug leads the D&I efforts across the US TBWA offices. Since assuming the role in 2012, TBWA has spent >$150mm with Multicultural + Women owned creative businesses, increased workforce diversity efforts, and created a cultural commitment to more inclusion. He’s presented 3 TEDx talks on the topic. Prior to TBWA, Doug was Founder/CEO of the e-commerce company RedCarpets.com. Previously, Doug worked alongside Earvin “Magic” Johnson as President of his ad agency, and VP of his biz dev/marketing team. In his past lives Doug was a competitive cheerleader at his alma mater SyracuseU., drove the Oscar Mayer Wienermobile across 48 states, and was a tour manager on the Britney Spears “hit me baby....one more time tour”. Having managed over a billion dollars in revenue for some of the biggest media companies in the world, Michele Thornton Ghee currently serves as the EVP of Business Development for Endeavor Global Marketing, part of the Endeavor network which includes talent agency WME, fashion and sports pioneer IMG, UFC, among others. 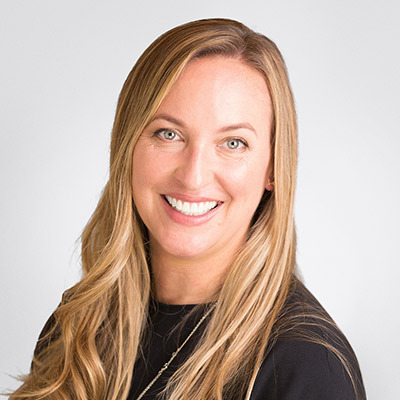 Michele and her team work to help brands better leverage cultural relevance of the world around them while creating programs that connect to consumers while delivering measurable brand and business value. Previously she was SVP of Media Sales for BET Her (formerly Centric TV), a 24-hour African American lifestyle network designed for Black Women. There she oversaw the vision and execution of all sales functions for the network. She was instrumental in the rebranding of Centric as ‘The First Network Designed for Black Women’ and then again into BET Her. Ghee has worked for CNN, A&E, The History Channel and The Weather Channel. She began her career at SBC Communications in Oakland, California. Over a 20-year career she has honed her skills in the following areas: leadership, culture, strategy, revenue generation, and relationship building. 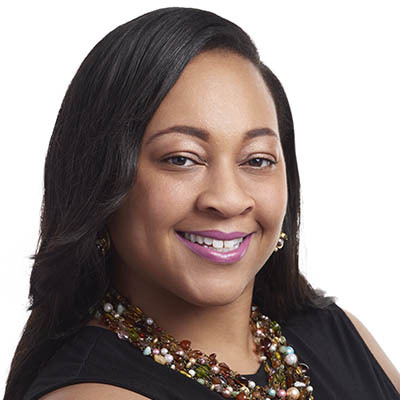 Ghee has received honors from numerous organizations including; Multichannel News 2019 Wonder Woman, Working Mother of the Year Award Class of 2018, The ADCOLOR Change Agent Award and The American Advertising Federation Mosaic Role Model of the Year Award. Ghee has authored two books: Stratechic: Life and Career Winning Strategies for Women and Stratechic 2.0: Her Plan, Her Power, Her Purpose. After losing her dad to cancer in 1997, Ghee decided to go back to school and received her Bachelor of Arts from Golden Gate University at the age of 30. In May 2017, she was honored with an Honorary Doctorate of Humane Letters from her alma mater. She resides in New Jersey and is a proud wife of Antony Ghee and mother of Taylor and Jordan Ghee. 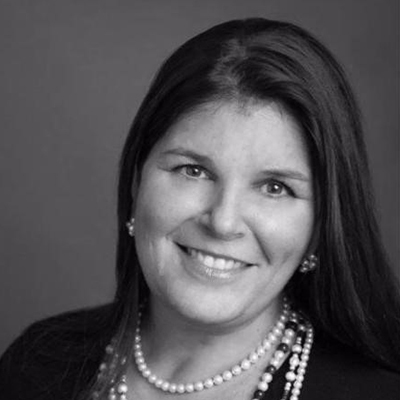 Carla Eboli is a seasoned communications professional with practice in Latina America and US. With over 20 years of experience in communication, Carla has a strong knowledge of Public Relations, Advertising and Social Media. She joined the Dieste family in 2008 as Chief Marketing Officer, and since then has been working to promote the agency’s growth and helping Dieste stay top-of-mind among the media and key opinion leaders. Prior to Dieste, Carla worked as the Director of Healthcare at Ketchum Brazil, maintaining a close working relationship with clients in Latin America, Europe and North America. She was also part of Ketchum’s Board of Directors and the Crisis Management Group, and served as Coordinator of Media Training for CEOs and directors. Carla graduated in Journalism and was part of the Presidential Media Committee in Brasilia, where she covered well-known government, entrepreneurs and businessmen as a special reporter for media vehicles. She then worked for the Culture State Department in Brazil, where she implemented the communications platform and led its public relations services. She continued to serve as Communications’ Consultant for the United Nations, managing the communication team of one of the largest NGOs in Brazil, Alfabetização Solidária. During her 20+ year career, Felicia has dedicated herself to being a voice for inclusivity and acceptance within the advertising industry. She has made an impact in the community at large and prides herself on cultivating tomorrow's diverse talent. In recognition of her passion and commitment to diversity and inclusion initiatives, Felicia was honored with the prestigious ADCOLOR Change Agent Award, the American Advertising Federation Diversity Mosaic Educator Award and The TORCH L.I.G.H.T. Award. Additionally, she was named the inaugural recipient of the 4A's MAIP Pantheon Award, which is given to a transformational leader who is highly regarded as a cultivator, supporter and champion of multicultural talent. Felicia is a Co-founder and Executive Director of the Madison's Collective, an organization whose mission supports a community for underrepresented professionals in advertising and media. She proudly sits on the AAF Mosaic Council Executive Committee, The ADCOLOR Board of Directors, Live Out Loud Board of Directors and is Co-chair of the 4A's Diversity Steering Committee. Felicia is a proud resident of Brooklyn where she resides with her husband, Jonathan, and their two fabulous children, Max and Alexandra. As President & CEO of The ADVERTISING Club of New York, the industry’s premiere forum for exchanging ideas, recognizing creative excellence, innovation, cultivating talent and promoting inclusion, Gina Grillo is the champion of the industry. She leads The AD Club team and over 5,000 members with access to a network of thought leaders; the fuel for creativity; progress toward greater diversity and inclusion; and the best training for professional development. In her 20+ years at The AD Club, Gina has transformed the Club into the voice of the modern ad industry which, in turn, shaped the conversation around diversity of thought, start-up innovation, support of Young Professionals, cultivated the importance of bravery in advertising, and has become a platform to the entire advertising, marketing and media community in New York. 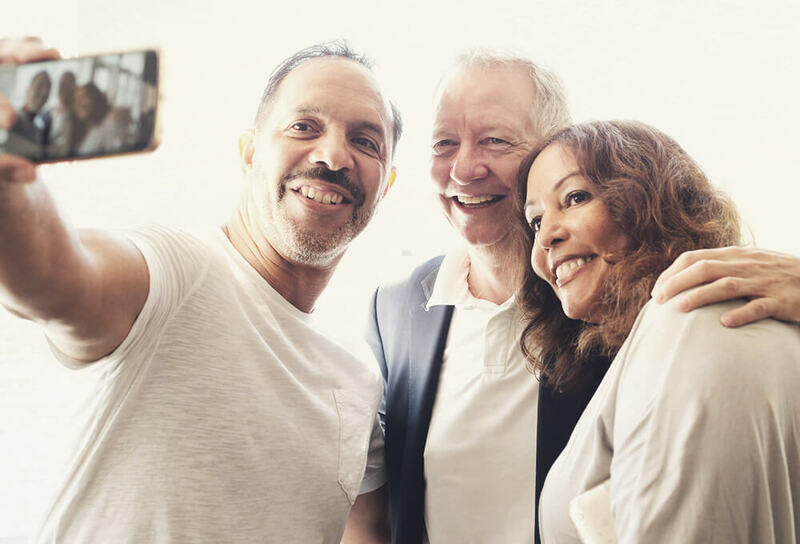 The Club, now in its 120th, year remains a reliable and trusted source for thought leadership, giving back to serve the community and fostering young and diverse talent. Through i'mPART, the Club’s diversity initiative that aims to raise awareness of the benefits of diversity in business and the importance of increasing and retaining a diverse workforce, The AD Club has made a $2 million investment in the nation’s leading diversity programs thus far. Gina is a force to be reckoned with – she oversees the International ANDY Awards and is on the NYC Virtual Enterprise Advisory Board. She is a Founding Member of the ADCOLOR Industry Coalition and serves on their Board of Directors, she is also a member of Advertising Week’s Board of Directors, both of which focuses on strengthening the industry and advocates diversity retention and driving business forward for the entire advertising and marketing industries. Gina also works closely with the prestigious industry leaders who comprise The AD Club’s Board of Directors to support the Club’s mission to move the advertising industry forward. Prior to joining The AD Club, Grillo held positions at Young & Rubicam and MTV Networks. A St. John’s University graduate and native New Yorker, she resides here with her husband and three children. 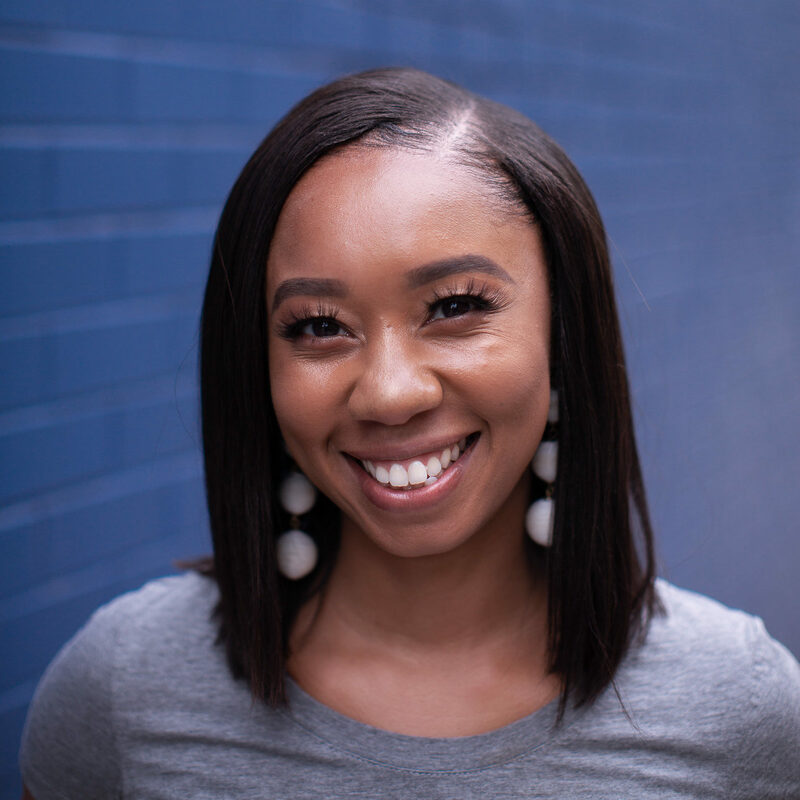 In just over two short years at independent advertising agency Wieden+Kennedy, Keesha Jean-Baptiste was named Director of Human Resources for the shop’s flagship office in Portland, Oregon. And for good reason: Keesha has a history of hiring, developing and sustaining top performing talent and leadership teams, and spearheading change to better support business effectiveness, all the while maintaining a strong company culture. With nearly 600 employees nestled in the sometimes wet, always beautiful city of Portland, Oregon, today she leads a team responsible for creating programs that appeal to the passions and talents of creatively minded people, cultivating W+K’s sometimes-chaotic ethos, developing a culture of inclusion and maintaining HR operations. 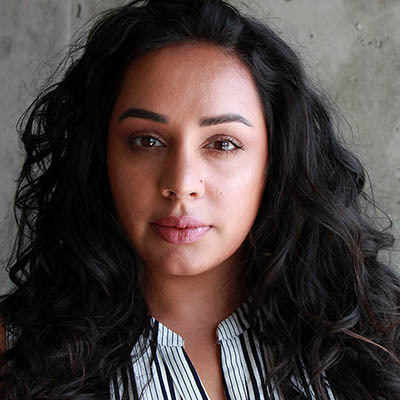 Keesha began her career at W+K Portland in 2011 as a Digital Recruiter, where she was responsible for hiring across several critical growth areas of the agency’s business, including Technology, Digital Strategy and Digital Production. In this role, she not only brought key talent and passionate people to the W+K team, but her leadership and strategic thinking helped redefine and restructure departments to better meet the changing needs of the marketplace. 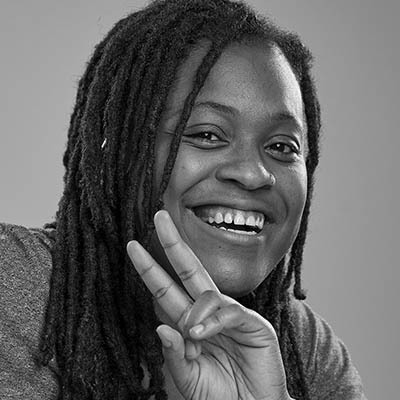 Prior to W+K, Keesha launched and grew in her career at the New York office for Digitas. She served as Group Director of Human Resources, overseeing HR operations across two locations and helping to create a productive team-oriented culture from top-level management through front-line staff. In this role, she shaped and enhanced the entire employee experience, including on-boarding, development, career pathing, coaching and retention. In her 10-year tenure at Digitas, Keesha also served as Director of Talent Operations, Associate Director of Marketing and several other positions that poised her for these senior roles. She managed initiatives that improved performance, retention, morale, diversity and positioned the agency as a sought-after, career-minded employer. Additionally, in 2005, she took a short-term break from Digitas to serve as Business Development Director with Essence magazine, honing knowledge and experience in client relations, account management, and the overall marketing landscape—no doubt serving her well in her latter HR and recruiting roles. Keesha holds an M.A. in Integrated Marketing Communications from Emerson College and a B.S. in Mass Communication, Corporate and Electronic Media Production from James Madison University. She and her husband, Yves, have two kids: a 7-year old daughter named Amel, nearly 1-year old son named Xavier and a miniature Schnauzer named Bingo. They are all enjoyed life in the Pacific Northwest. Keesha loves yoga, listening to music and hanging out in her home with her family. 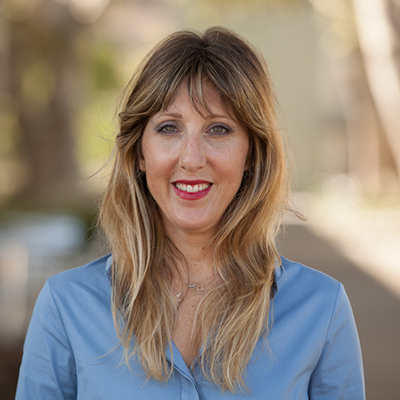 As President of Deutsch Los Angeles, Kim leads a world-class team of entrepreneurial thinkers who roll up their sleeves to help businesses grow. Since joining Deutsch in 2003, Kim has been instrumental in building the agency into what Fast Company has recognized as one of the most innovative creative shops in advertising. During her tenure at Deutsch, she has driven the development of new practice areas for the agency, including experiential marketing, music and PR and has led the LA office to some of its greatest wins in nearly 20 years. She’s spearheaded breakthrough campaigns for Deutsch’s roster of clients including Volkswagen, Target, Taco Bell, DPSG, 7-Eleven, among others and has been a key player in landing the agency on Ad Age’s Agency A-List numerous times. Kim is an advocate for inclusion and diversity in the marketing industry and has spoken at leading conferences such as Cannes and Advertising Week on the role advertising plays in gender equality. She’s been a force at driving the conversation on media’s impact on gender bias and has been frequently featured in Fast Company, Adweek, Los Angeles Magazine and Ad Age, among many others. Kim has made progressive parenting policies a priority during her tenure as president, championing both mom and dad in the workplace by extending leave time for dads and creating a 4-day work week for both, upon returning from leave. She’s also advocated for unlimited PTO, flexible work schedules and remote years and sabbaticals. In 2018, she was honored by She Runs It as one of the top Working Mothers of the Year. Committed to nurturing young talent, Kim serves as an adjunct professor at USC’s Annenberg School and also sits on the board of directors for ADCOLOR and The Grady College of Journalism and Mass Communication at the University of Georgia. She’s passionate about creating change in our industry and has been recognized as one of the most powerful women in advertising by Business Insider, a top LA executive by the Los Angeles Business Journal and has earned the American Advertising Federation’s Mosaic Award for Industry Career Achievement. Kim is a regular contributor to Fortune and Entrepreneur. She’s a California optimist and a proud mom of two daughters. 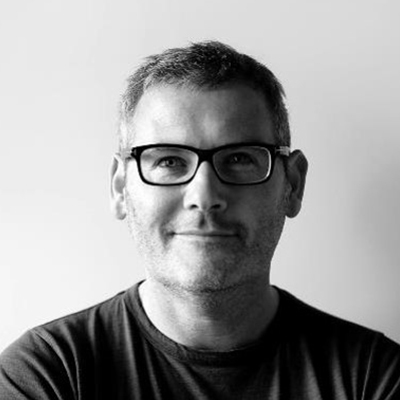 Mark D’Arcy is Chief Creative Officer of the Facebook Creative Shop. In this role, he leads a team of creative strategists in 18 cities around the world tasked with creating and building ideas that transform how the world's largest and most innovative marketers use Facebook to drive business growth. After two decades working as a writer and Chief Creative Officer in advertising and media, Mark joined Facebook in 2011 to better explore the creative potential of the Facebook platform. As part of this effort, last year he founded the Facebook Creative Council. Comprised of some of the most highly regarded and influential creative voices in the world. The council provides Facebook with invaluable perspectives and ideas to better engage and educate the global creative community, Identify and celebrate breakthrough work and influence how Facebook develops to be an even richer and more engaging place to connect brands with the people they serve. Prior to joining Facebook Mark spent seven years at Time Warner in New York, as Chief Creative Officer of its Global Media Group. Here he co-developed the first truly creative media arts practice within a global media company designed to better leverage the company’s extensive television, film, print and digital assets for its key marketing partners. In 2009, Mark was also named President of the Group and Senior Vice President of Time Warner. Mark has been widely recognized for his creativity and leadership in the creative industries and regularly speaks all around the world on the subject of creativity in social media, the transformation of marketing, the communication arts and the role and purpose of brands in society. Mark has served as a juror on numerous international awards shows including the CLIO Awards, LIA Awards, The International ANDY Awards and in 2013 served on the inaugural Innovations Lions jury at the Cannes Lions Awards. Mark currently lives in London, mainly Heathrow. Mark is a Human Resources and Operations executive with extensive experience in recruiting and developing employees to achieve overall company goals. He builds partnerships with all levels of an organization to gain alignment of objectives and develops strategies for implementation of programs in talent management, employee engagement, diversity and inclusion, training and development, succession planning, change management, organizational development, employee relations and recruiting. Mark has spent the majority of his career working in the Advertising/PR industry. Prior to Edelman, he worked at D’Arcy Advertising and Publics Worldwide, where he led the HR function through three separate mergers and honed his skills in change management and cultural development. Being a very active member of the industry, he had served on the AAAA committees for Human Resources and Diversity for 14 years. 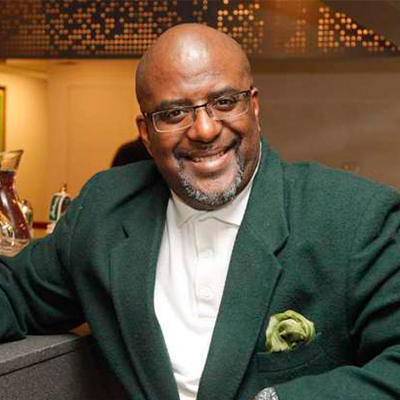 He currently serves on the ADCOLOR Board of Directors and is proud to be a founding member. Nicole joined BBDO, a leading advertising agency in 2016 as Senior Vice President, Human Resources. In this role, she serves as a strategic partner to the Office President, Department Heads and Senior Leaders. Her primary focus is to implement a comprehensive performance management system, career mapping program and advise on professional development/employee engagement initiatives. Prior to joining BBDO, Nicole spent the majority of her career in leadership roles in the advertising/PR industry where she performed overall generalist responsibilities including recruitment, coaching, staffing, performance management, training & development etc. Nicole has a proven track record for creating and nurturing innovative cultures by assuring HR initiatives are properly aligned with an Agency’s mission and goals -- her passion for her work shows. As part of her commitment to developing and grooming talent, Nicole currently serves on the Board of ADCOLOR® and offers mentorship to advertising/marketing professionals. Susie has lived in 10 cities in three countries and has had three completely different professions, but she considers Minneapolis her home and advertising her career. She started at George magazine following the presidential campaign trail, then went to The New York Times as Features Editor for their first-ever online edition. She then moved into advertising at Deutsch NY to work on IKEA and LensCrafters, before stepping out of the rat race to attend London School of Economics for a master’s in urban planning. After completing her studies, she consulted on economic and transport planning in England — including visits to Roman archaeological digs and the bullring in Birmingham. Upon returning stateside, she headed back to advertising and found a home at Fallon working with the islands of the Bahamas’ Ministry of Tourism, TIME magazine and Nestlé Purina — so, beaches, puppies and excellent reading material. 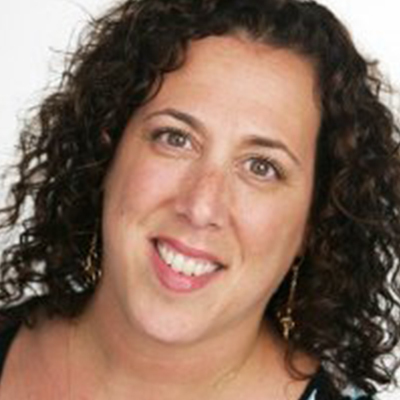 Susie started at Droga5 in 2009 as Group Account Director leading Activision and PUMA. Soon after she became Head of Account Management and, in 2013, General Manager of the New York office. In 2015, she became Chief Operating Officer. As COO, Susie oversees all business operations of the agency, including driving influence for clients on their businesses, marshaling departments to scale and adapt to growth and designing culture and systems to deliver breakthrough ideas. Susie lives in Brooklyn with her husband and two children, Miles and Stella. Originally from Istanbul, Sedef found her way to 72andSunny via Boston, New York, London, and now proudly calls Los Angeles home. Sedef’s mission is to not only find the best people to join our teams at 72andSunny, but also help support every employee's continued growth within the company. With a non-linear career path that gave her insight into companies large and small, Sedef is focused on creating a diverse and inclusive place that fosters personal growth and creative self-expression. When she’s not at work, Sedef can usually be found tending to her family's vegetables, fruit trees and flowers accompanied by their cuddly cocker spaniel, Reggie, and sassy street cat, Miles. Stephen Kim is Vice President of Global Accounts at AOL where he leads the company’s efforts to partner with the world’s largest marketers. Previously, Stephen was at Microsoft Corporation for twelve years, most recently as Vice President of Global Marketing for Microsoft Advertising where he drove worldwide trade and consumer marketing. Prior to this role, Stephen was Vice President for Global Sales, where he managed Microsoft’s relationships with leading media and creative agencies as well as top marketers. Stephen currently serves on several industry boards, including the Marcus Graham Project, the Media Ratings Council, the Center for the Digital Future at the University of Southern California Annenberg School and the Future of Advertising Project at the Wharton School of Business. Stephen also served as a Co-Chair of the US Interactive Advertising Bureau’s Research Council from 2004-2008 and was Chair of the Board of the Advertising Research Foundation from 2007-2009. Prior to joining Microsoft, Stephen was Chief Research Officer at Media Metrix, a global provider of online audience panel measurement. Before joining the online world, Stephen was an attorney with the law firm of Morrison & Foerster specializing in the regulation of new technologies and the use of statistics in complex litigation. Stephen holds an M.A. in Communications Research from the Annenberg School at the University of Pennsylvania. At the Annenberg School, Stephen’s graduate work focused on media effects research. Stephen also holds an A.B. in Political Science from Brown University and a J.D. from the University of Pennsylvania Law School. At the Law School, Stephen was an Editor for the University of Pennsylvania Law Review, where he published an article examining the communications and regulatory issues surrounding television violence. Over the her career, Ashley McGowan has established herself as a marketer who has a passion for creating a more diverse and inclusive environment within the Chicago communications industry. Ashley is known for excellence in managing client relationships while infusing her passion for a diverse and inclusive workspace. This combination of traits has chartered a unique professional journey from several creative agencies, Microsoft, Under Armour and now to her current role as Client Solutions Manager at Facebook. At Facebook, Ashley is responsible for stewarding large advertising partnerships across the Facebook family of apps. Along this professional journey, Ashley has organized internal affinity groups, fostered conversations on various topics in the office, organized career panels and created countless opportunities for mentorship and entry-level development. In 2012, Ashley founded Coalesce Chicago. The organization is the premier professional resource for diverse talent in Chicago. With over 1,500 members across Chicagoland, the organization provides members with opportunities for networking, professional development and mentoring. 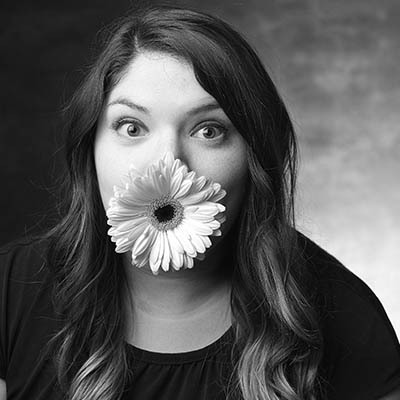 Ashley is an alumna of the University of Illinois Champaign-Urbana, with a Bachelor of Science in Advertising. 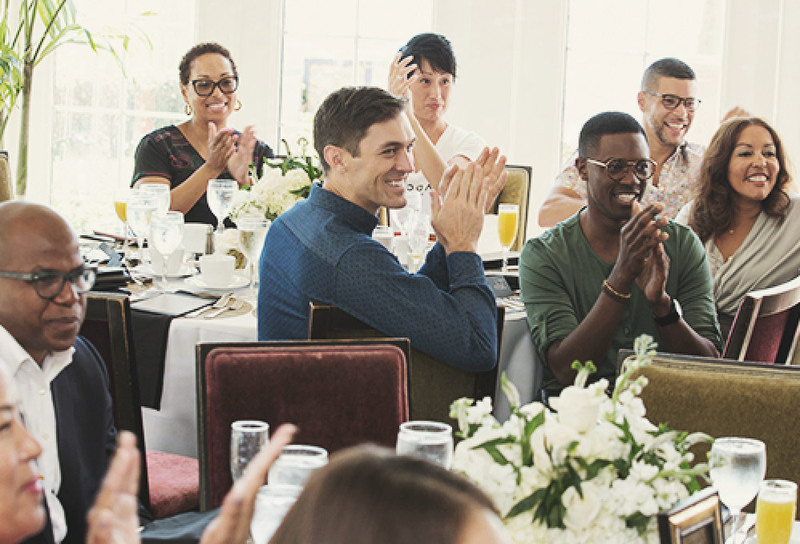 In 2012, Ashley was named in the inaugural class of ADCOLOR Futures. In 2013, she returned as an ADCOLOR Rising Star Honoree. In 2014, Ashley was honored by the American Advertising Federation as a Rising Star Alum of the Most Promising Minority Student Program. For Ashley, life is about leaving your footprints in the sand – if you were to ask her, she’s just at the beginning of the mark she’s looking to leave behind. 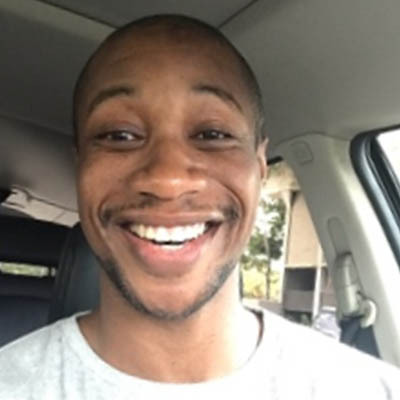 Jonathan Priester is an Account Strategist at Google serving as a member of the Global Support and Performance team. At Google, Jonathan is responsible for growing advertiser’s business at scale across multiple verticals by serving as a liaison to educate,consult and provide policy solutions via the full suite of Google AdWords products. In addition to his work with clients, at Google Jonathan serves as a Co-lead of the New York chapter of the Black Googler Network (BGN), Google’s employee resource group dedicated to supporting diversity and inclusion both at Google and throughout the greater tech community. Prior to his time at Google, Jonathan has had the opportunity to develop a strong background in digital marketing, merchandising and account management through a combination of digital roles at JCPenney Corporate and agency experience at BBDO, AMV BBDO and The Godwin Group. Born and raised in Jackson, Mississippi, Jonathan is a graduate of the Boston University College of Communication and The University of Texas at Dallas School of Arts and Humanities. With a Bachelors of Science in Advertising and Masters of Arts in Emerging Media and Communication respectively, Jonathan is trained in both branding and marketing disciplines. 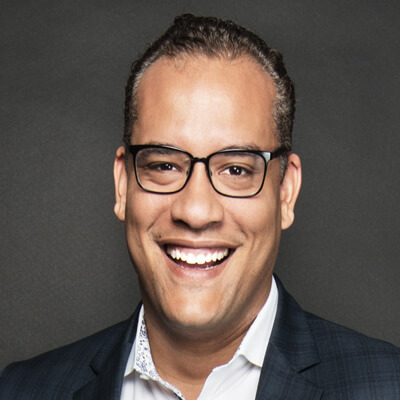 Jonathan currently serves as a member of the ADCOLOR Advisory Board, an organization dedicated to tackling issues of inclusion and diversity across advertising, technology and creative industries. 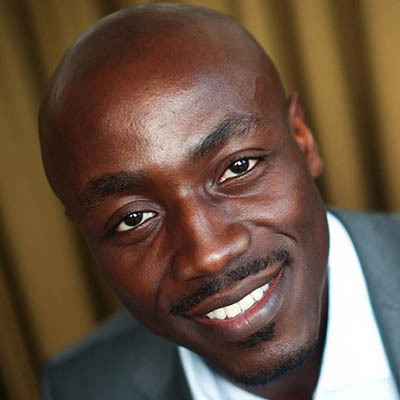 Jonathan is also an advisor to the executive board of Operations Crossroads Africa, a non-profit organization dedicated to building cross-cultural networks through service based exchange trips in countries across Africa, Brazil and the Caribbean. Jonathan is a proud member of the 2010 Most Promising Multicultural Student Program and was recognized as the American Advertising Federation 2016 Most Promising Multicultural Student Program Alumni Rising Star. Stacey Mahoney began her work in digital as a front-end web coder in high school, in Washington, DC. When she arrived at college in the late 90’s, she knew exactly what she wanted to do even though her major didn’t exist. She used the ambiguity as opportunity to define her own path, and has been creating a place for herself ever since. Stacey formally started her career by teaching high-school students to code. She was hired by a local non-profit as a content producer, and then entered the advertising industry for more creative work. Her strength was defining digital roles within agencies that didn’t have an interactive arm, while simultaneously learning, testing, and monetizing emerging technical platforms. Eventually, Stacey moved into sales, business development and then sales operations. In 2013, Stacey joined Microsoft Search Advertising to lead an award-winning Search sales team. Presently, Stacey enjoys a challenging role in search sales operations. Stacey is passionate about volunteering and pushing for equity for the marginalized. 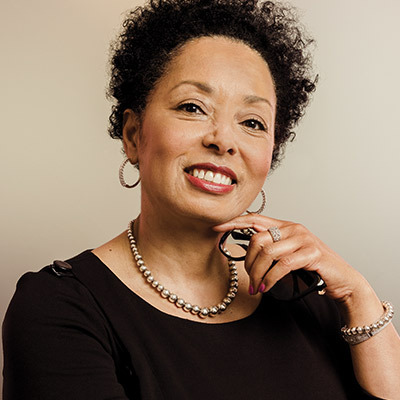 She serves as the global communications chair for Blacks at Microsoft, is a steering committee member of embRACE - Microsoft Search Advertising’s diversity initiative, and volunteers professionally for minority and women-owned businesses. Passion and positivity are two of Analysa’s greatest strengths in her Account Supervisor role at Wieden + Kennedy Portland. Through her time at W+K, Analysa has worked on a range of clients from Caldera, a non-profit summer arts camp organization, to Powerade, Coca-Cola’s sports drink, who recently won 2 Cannes Lions in the 2017 Film Festival. That passion and positivity extends beyond the creative she produces at work. Analysa is also passionate about transforming the advertising industry through diversity and inclusion initiatives. Analysa is a MAIP Alumnus and currently resides on the ADCOLOR Advisory Board as the Futures Programming Committee Lead. Analysa studied Advertising at the University of Texas at Austin. She spent a few years in the concrete jungle (at Grey NY and HAVAS NY) before moving to the lush forests of the Pacific Northwest. If Analysa could be anywhere in the world, it’d be front row at Beyoncé’s latest concert tour. If she can’t be found there, she’s likely spending time with her family in Portland, Oregon or happily running around the W+K office. 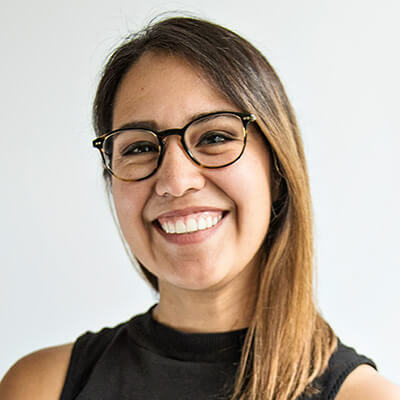 Over her career, Anastasia Garcia established herself as a content director with proven leadership and organizational skills supporting world-class creative and launching global campaigns. Anastasia chartered a unique professional journey from several creative agencies to her current role as Content Director at TBWA\Chiat\Day NY. Her creative work has been featured in AdWeek, Refinery29, NowThis, Upworthy, and Fast Company. Along this professional journey, Anastasia volunteers her time to student outreach, entry-level recruitment, and internal mentorship. She currently volunteers with students at the Manhattan Early College for Advertising and with the iMentor program at the Bronx Leadership Academy. She's passionate about providing underrepresented students with the access and opportunity to succeed in their chosen careers. Anastasia is an alumna of the University of Texas at Austin, with a Bachelor of Science in Advertising. In 2014, she was named one of Mashable’s Rising Stars in Advertising. In 2017, she was featured in The Drum’s Beyond the Brief and nominated as an ADCOLOR Future. She is now a member of the ADCOLOR Advisory Board’s University Committee. When she’s not working, you’ll find Anastasia reading and writing speculative fiction while heading up her book club of 1300 young women in New York City. Andrew Hatch currently heads the Strategy and Operations for Twitter’s Data Product/Sales team, as well as, the Self Serve Advertising team. Prior to Twitter, Andrew was a Consultant at Deloitte in the Healthcare and Technology sector and his work focused on implementation of the Affordable Healthcare Act at both private and public institutions. Andrew is a champion of diversity and,for a brief stint, was the Strategy and Operations lead for Twitter’s Diversity and Inclusion team. He graduated with honors from the University of California, San Diego (UCSD) in Political Science and Economics. Andrew was also member of UCSD’s NCAA Men’s Basketball program, where he served as team captain. Ashley Simms is an account supervisor at FleishmanHillard (FH) with experience managing large-scale, integrated marketing campaigns from strategy to execution. She supports a variety of public education campaigns for federal government and consumer clients with a specialty in military and veterans’ affairs, cybersecurity communications, youth advocacy and public education initiatives. Some of her experience includes: serving as the day-to-day client lead for a military program to help mobilize support for the nation’s armed services through earned media outreach, leading digital content creation and earned media strategy for a government agency focused on reducing uninsured rates and serving as the day-to-day client lead to elevate a federal government agency’s vital role in protecting the nation’s critical infrastructure through content development and speechwriting. Along with client management, Ms. Simms is a diversity and inclusion leader at FH. 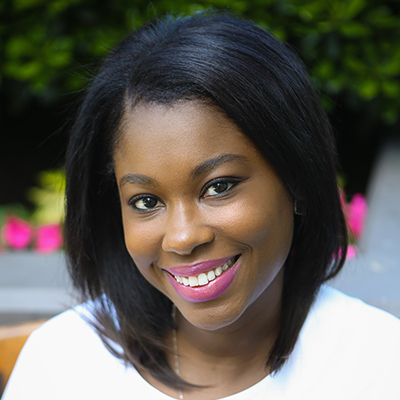 She co-leads the Alfred Fleishman Diversity Fellowship program in the DC office and is committed to advocating for a more diverse public relations industry. She was recently named Outstanding Young PR Professional at the 2017 Diversity Distinction in PR Awards by PR Week and the PR Council. 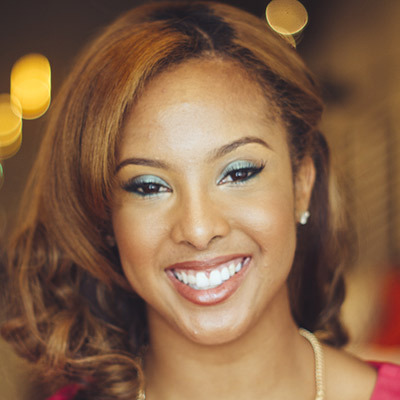 She was also featured in the Huffington Post as one of the Top 25 African American PR Millennials to Watch. Ms. Simms received her bachelor’s degree from Michigan State University in journalism and public relations. She obtained a master’s degree in public relations and corporate communications from Georgetown University. Ashley is also a proud member of Alpha Kappa Alpha Sorority, Inc.
Brittany Allen is a native of Southern California, and currently works on the Brand team at 72andSunny Los Angeles. She began her career in advertising by way of The Marcus Graham Project (MGP), an entrepreneurial and marketing driven internship program. As a member of the 2016 class of ADCOLOR Futures, ADCOLOR Advisory Board, and MGP Board, Brittany is a strong advocate for diversity and inclusion. She’s driven to create an environment where minorities not only have a seat at the table, but are empowered to exist authentically within these spaces. She also believes in inspiring positivity within these experiences, allowing people of color to bask in the glory of their cultural divinity. Within 72andSunny, she’s pursued this ambition in working directly with agency leadership to develop a more inclusive culture. Brittany is excited at the opportunity to serve on the 2018 ADCOLOR Advisory Board, and hopes to continue the incredible legacy of promoting positive change within the industry. Candace D. Queen is a multidisciplinary Sr. Designer + Art Director and culturist, with a vivacious entrepreneurial spirit. With that said, she wears many crowns. Candace’s work spans the social media space, experiential design, and art curation. She’s worked with a range of brands and organizations, like Cantu Beauty, ALDI, Sprint, the American Advertising Federation, ADCOLOR®, and the 4A’s. Her accolades include being recognized as one of the 4A’s 100 People Who Make Advertising Great, a 4A’s MAIPer to Watch, Bill Sharp Award Recipient, and an ADCOLOR® FUTURE. She champions diversity within the advertising and media industry through her work with Blacks in Advertising, as well as ADCOLOR®, the 4A’s and the AAF. Passionate about all things Trill, Chopped and Screwed, her work reflects her Creole roots in Southeast Texas, and her love for exploring new technology and hacking culture codes. Carl is the Director of the Integrated Marketing Communications department at Kimberly-Clark Professional (KCP), spanning the areas of Digital Strategy & Operations, Strategy & Planning, Marketing Implementation and Creative. His 34-person team is responsible for partnering with the company’s strategic business units to develop and execute salient communications that resonate with target choosers. Carl previously held the position of Associate Marketing Director for the Home Professional Business where he was responsible for developing and implementing marketing and product innovation plans to ensure achievement of net sales, operating profit and market share objectives. Carl is driven to develop communications that connect people with brands and develop products that define those brands for the people who depend on them. Through increasing and expanding responsibility, Carl’s experiences have molded him into a business and people manager, driven to exceed results for the businesses he has worked on, through the people with whom he has had the pleasure to work. Prior to joining KCP, Carl served in expanding Brand Management roles at Newell Brands across their Baby, Cookware and Home Décor categories. He began his career in Advertising and is a two-time graduate of Penn State University, holding B.A., B.S. and MBA degrees. 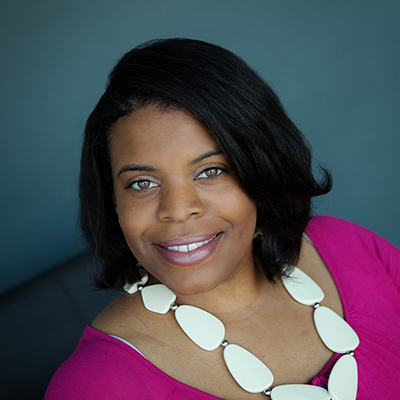 Danielle E. Wilburn currently works at Facebook leading global product marketing for the Ads and Business Platform team. Prior to switching over to tech, Danielle worked at FCB Chicago, Leo Burnett, and Ogilvy & Mather, which all contributed to her becoming a passionate team leader. She has a proven track record of building brands and relationships that drive business growth for Fortune 500 companies like The Boeing Company, Dove and Suave, Kraft, Burger King, and Whirlpool Corporation. In addition to Danielle’s day-to-day job, she recognizes the strength of multiculturalism and is very passionate about diversity recruitment and retention and ensures she makes time to pay it forward. 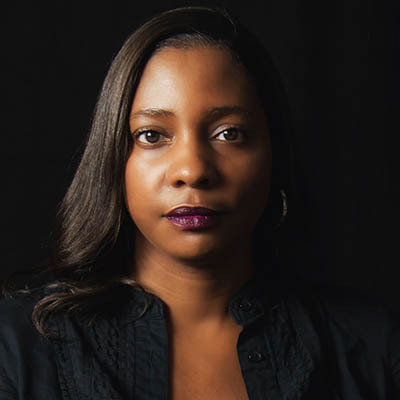 Danielle is a mentor for the 4A’s Multicultural Advertising Internship Program (MAIP) and a member on the advisory boards for ADCOLOR® and Coalesce Chicago, both of which are organizations dedicated to celebrating and advocating for more diversity in the communications industry. A testament to her passion for multicultural advancement is when Coalesce Chicago honored her with the 2015 Champion of Growth award, which she holds with great pride. Danielle recently completed her MBA at the University of Illinois at Urbana-Champaign and enjoys traveling internationally, sipping on whiskey gingers, and dancing to the beat. Ghada Soufan works in account management at Wieden+Kennedy Portland on the Old Spice account. During her time at W+K, she has led digital and social efforts, key product launches and award-winning campaigns for this iconic brand spanning across North America, EMEA and LATM regions. Driven to champion female leadership and diversity & inclusion, Ghada proudly serves on the leadership team for the 51% at Wieden+Kennedy - an open forum for women to connect through common interests, shared information and enrichment supporting both career and personal growth. 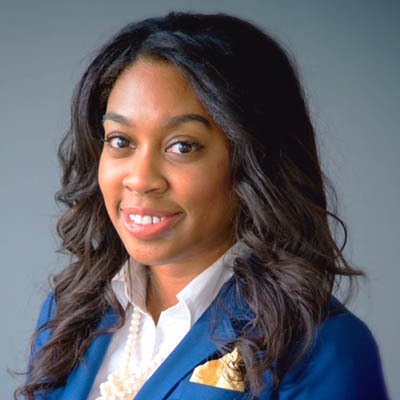 Prior to entering her professional career, her accolades included AAF’s Stickell receipt and Most Promising Multicultural Student recognition where she was awarded the Future Leader award. Prior to W+K, Ghada held roles at Digitas Chicago and GSD&M working on a range of brands like ADCOLOR®, Whirlpool, TJX and more. During her time in Chicago, she was elected to the Chicago Advertising Federation Young Professionals (YP) board. Ghada has a B.S. in Advertising Honors from the Stan Richards School of Advertising at The University of Texas at Austin. Born from her Syrian, Lebanese and Texan roots, she is deeply passionate about culture, travel, music and volunteering for refugee communities. 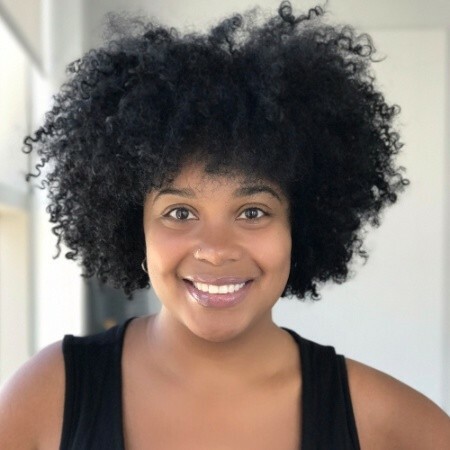 Jasmine Clennon is an Advertising Insights Marketing Strategist at Facebook, focused on developing ad effectiveness insights around Stories and Video ad formats across the Facebook family of apps and services (Facebook, Instagram, WhatsApp, and Messenger). 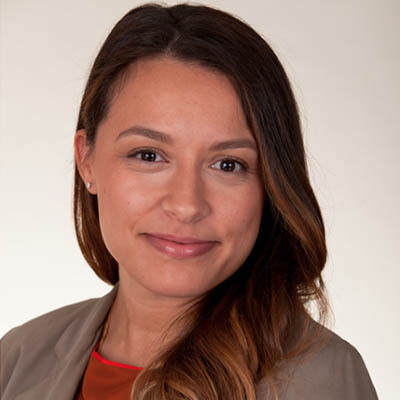 Before joining Facebook in May 2018, Jasmine spent five and a half years at Turner working within Ad Sales Research, Integrated Marketing Research, and was heavily involved in the development of Turner’s audience targeting products. Prior to Turner, Jasmine was a Research Analyst at USA TODAY national newspaper. 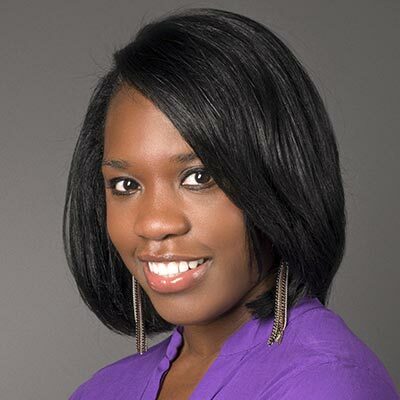 Jasmine began her career as a Marketing Research Analyst for Gannett New Jersey Newspapers, supporting print & digital efforts for five newspapers, three media websites and over 30 brands. In both 2016 and 2017, Jasmine was named one of Cablefax's "Overachievers under 30". She was also recognized as one of the "Top 5 Outstanding Young Professionals" by the Advertising Research Foundation (ARF). Jasmine is an Advisory Board Member of both the Advertising Research Foundation’s Young Pros and the ADCOLOR Conference & Awards. She is a proud member of Alpha Kappa Alpha Sorority, Incorporated. 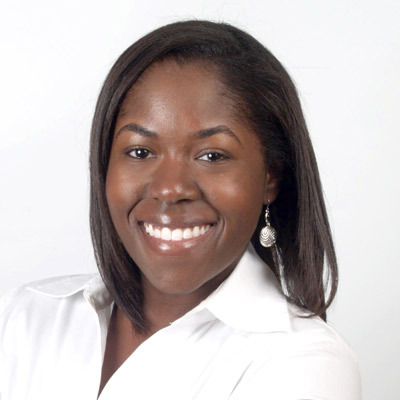 Jasmine has a BA in Public Relations from The Zimmerman School of Advertising at the University of South Florida. Jasmine currently lives in NYC, but hails from Pensacola, Florida. 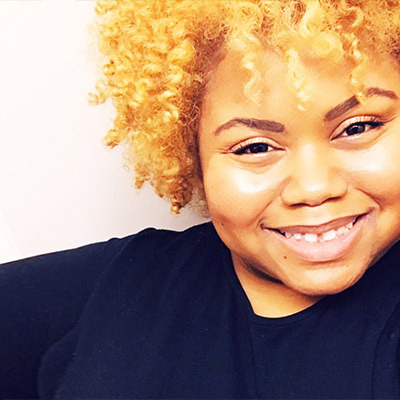 Jessica McGlory is the 2017 AdColor Rising Star Award winner, one of 2018 BEQ Magazine’s 40 under 40 and according to 4As, is one of 100 People Who Make Advertising Great. Jessica has been featured by Flavorwire for her “Badass Advice for Women in Media” and Technically Philly for knowing a thing or two about fandoms. As a consultant, Jessica has guided entertainment and digital agencies in identifying how fandom data can help expand their offering. As an outspoken advocate of paid social media, Jessica is the Director of Paid Social for Jellyfish, where she leads the strategic arm of the paid social department. Her strategies and activations have garnered recognition from top industry awards including The Shorty Awards, Digiday and OMMA Awards. An avid thought leader, Jessica shares content on LinkedIn to help dispel the mystery of paid social and fandoms in her effort to make them accessible to everyone and open source. Jessica is a Talent Manager at Teads.tv. Prior to Teads.tv, Jessica was the Recruitment & Onboarding Manager at DoubleVerify. She has gained experience in the advertising and technology ecosystems, recruitment world, people operations, and career development. She is passionate about creating a diverse space for talented and creative individuals in a thriving and amazing industry. Jessica rethinks the current market trends and designs real-time solutions for today’s talent. Outside of the office, Jessica enjoys exploring new cities, meeting people, and fishing off the Long Island Sound with her family. As a Queens, NY native and St. John’s University alumni- Jessicatakes pride in growing up in one of NYC’s most diverse boroughs. She longs to see melting pots wherever she visits, but she’s making a change one step at a time and what better place to start than in the media? Jessica looks forward to serving on the 2018 ADCOLOR Advisory Board and being part of a positive change. 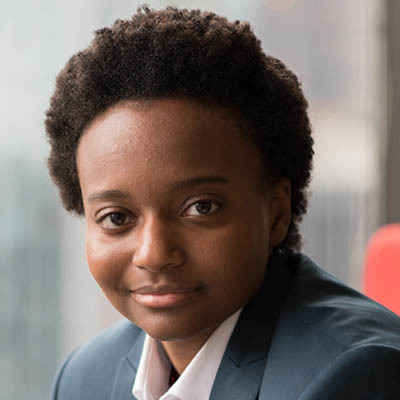 Kai Jones Weidie is a seasoned and continuously learning diversity and inclusion, marketing and business development professional with nearly 10 years of experience. In her current role as Director, Mosaic Center & Education Services at the American Advertising Federation, Kai leads strategic planning and implementation of the AAF's premier diversity recruitment programs, professional development workshops, and panel discussions for industry-wide events. Her focus is on relevant D&I subjects and challenges, as well as key Mosaic Center initiatives, including research projects and content development for AAF membership. She prides herself on being a trusted teammate and in her ability to instill confidence in colleagues. She embraces attention to detail and values infecting others with her sense of humor. Her deep experience makes her a go-to resource on inclusion in the advertising, media, and marketing industries for the AAF's corporate, education, and grass roots memberships. Kai is a veteran synchronized swimmer with 16 years of competition experience at the youth, collegiate, and masters level; as well as coaching for six years. She will soon embark on her third year as a U.S. Masters participant and could very well die in a swimming pool. Simply put, she's ready to make a splash with a smile. 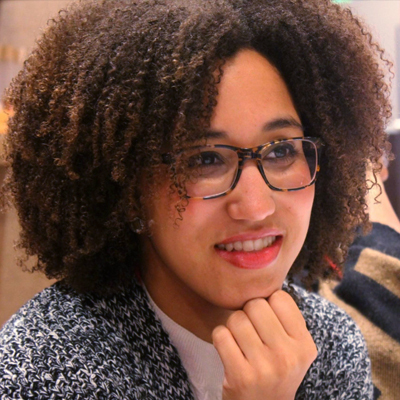 Kayla Robinson is a multidisciplinary creator and storyteller. A born and raised Texan, she graduated from The University of Texas at Austin where she studied advertising and completed the prestigious portfolio program. Upon graduation she took her talents to New York City where she worked as an art director at BBDO Worldwide. 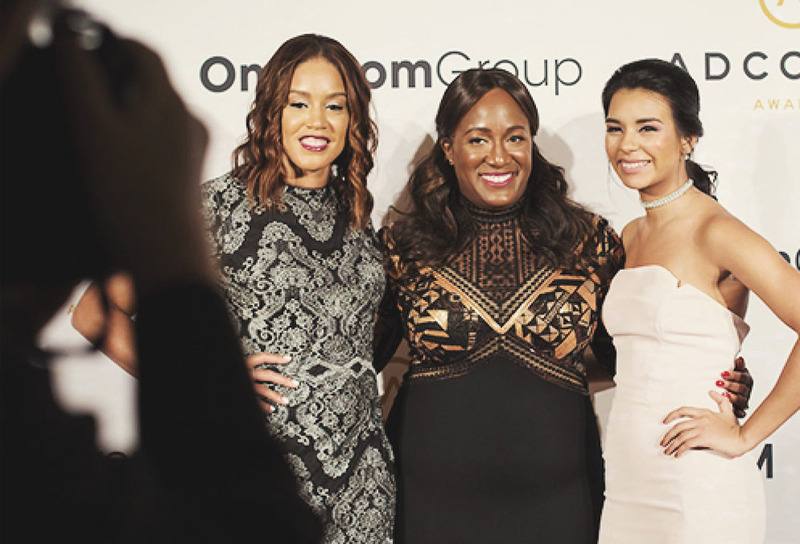 While there, she created award-winning ads and was honored as an Omnicom Emerging Star. In 2017, Kayla made the jump from one big apple to the next. She currently works an art director at Apple in the California Bay Area where she continues to produce notable work. Kayla is a strong advocate for diversity and inclusion both in and out of work. She is an ADCOLOR® Advisory Board member, ADCOLOR® Future alum, two-time alum of the 4A’s Multicultural Advertising Intern Program (MAIP) and continues to serve as an ambassador for the program. She is passionate about helping students of color reach their full potential. In her free time, she can be found buying plane tickets to new places, rearranging the furniture in her apartment or producing animated shorts. Kevin is currently an Associate Account Manager at Droga5. 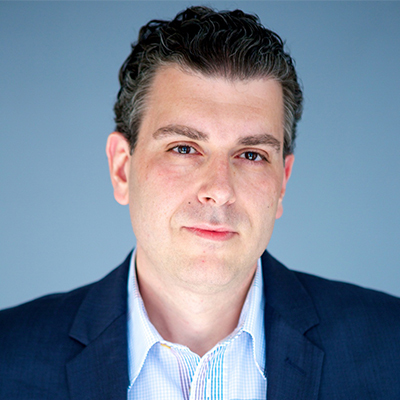 Prior to joining Droga5, Kevin has spent time at Digiday and Nielsen and has earned a B.S. in Marketing from the University of Maryland, College Park. 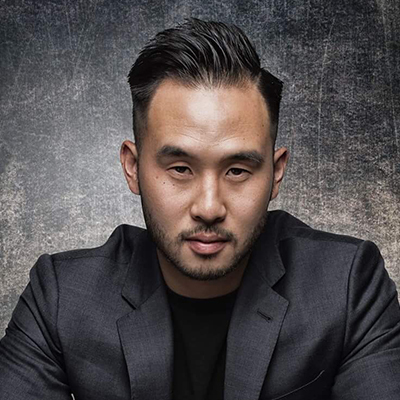 In addition to his day job, Kevin is an active leader and member of multiple non-profit organizations, which include serving as a board member for The Chinese Youth Club of Washington D.C and on the advisory board for ADCOLOR, where he was most recently recognized as Mr. ADCOLOR 2016. He also contributes his time as a writer and producer for Asian CineVision and The Center for Asian American Media (CAAM), where he helps to tell the Asian-American narrative through film and video. 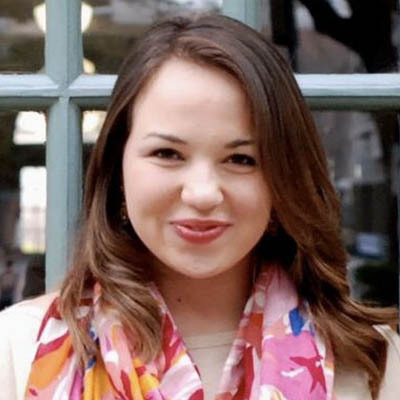 Leigha Baugham is a Director of Social Strategy at Ogilvy & Mather in Atlanta. She works to lead social media and creative teams to develop comprehensive strategic social media roadmaps, cutting edge creative and data-driven insights for clients in verticals ranging from early education, consumer electronics, consumer product goods, retail and B2B. Before moving to Ogilvy & Mather, Leigha lead the social media practice at the VML Atlanta office and worked on clients including: Ace Hardware, Bridgestone, Butterball, Ball Park, Cheez-It, Cottonelle, Duke Energy, Famous Footwear, Hillshire Farms, Kleenex, Keurig, Kellogg’s, Krispy Kreme, Xerox, US Navy. Prior to joining the VML team, Leigha worked with 360i and Coca-Cola to manage the global CPG brand’s social media communities on Facebook, Twitter, YouTube, Flickr and Google+ for more than 11 of Coca-Cola’s global brands, across 178 international markets. 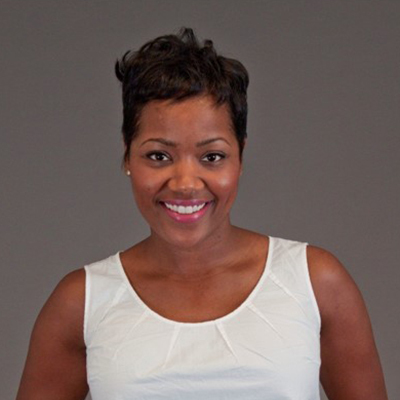 Before advertising, Leigha spent nearly 10 years in broadcast journalism and served as an online producer for both the FOX and NBC affiliates in Atlanta. Leigha holds a B.A. in Communications Studies with a concentration in Media Production form the University of North Carolina at Chapel Hill, where she also minored in violin performance. In her free time, Leigha works as a freelance photographer specializing in concert and portrait photography. Michelle Almeida's agency career is fueled by a combination of curiosity, creativity, and tenacity. She is currently an Account Executive at Anomaly, bringing her skillset and perspective to culturally relevant brands such as Converse and Youtube. Prior to Anomaly, Michelle led account and experiential efforts on Nestle Waters North America (Perrier and S.Pellegrino), Mars, Incorporated, Porsche Cars North America, and Mercedez-Benz. Michelle is a champion of diversity who has served on ADCOLOR's Advisory Board since 2016. 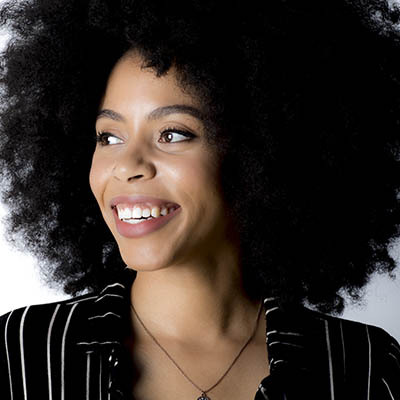 To be sure, her passion for diversity and culture extends beyond advertising – she freelances as a small business consultant to POC and women entrepreneurs, a portrait photographer, and is a former Blog Editor for HerCulture, an online content platform dedicated to young women’s languages, traditions, customs, and cultures. In or out of the agency, Michelle is dedicated to giving expression to marginalized storylines and supporting marginalized communities, creating space in otherwise crowded arenas. Michelle holds a BA in American Studies and Latino/a Studies from Williams College and speaks four languages (with Italian and French cued up!). She continues to volunteer for the Williams College Black Alumni Network and has been privileged to don the coveted Purple Cow mascot costume on special occasions. Rinchen Lama is a Senior Producer within the marketing and communications team at Apple. She serves as the digital lead on audio and music product marketing launches. She has spent over three years at Apple overseeing teams and training new producers to take products to market in innovative digital ways. She comes from a background of over 10 years within the broadcast and digital design world for out-of-home advertising and retail media. A BA graduate of SF State majoring in Broadcast Communication in Radio & Television, Rinchen resides in Oakland and is a Bay Area born and raised native. As a second generation Nepalese Tibetan-American, she has spent the majority of her life dedicated to presenting stories that convey the richness and diversity of Asian-American experiences to the broadest audiences possible. 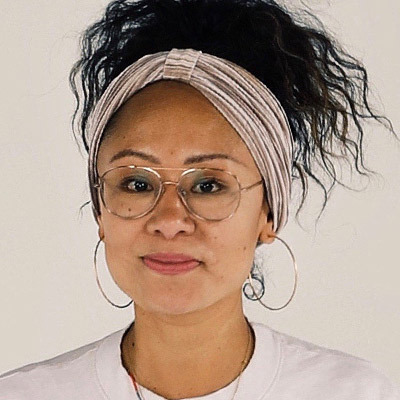 She has also served as a programming committee member for CAAM (Center for Asian American Media) at the San Francisco International Asian American Film Festival, where she saw this passion come to fruition on screen. 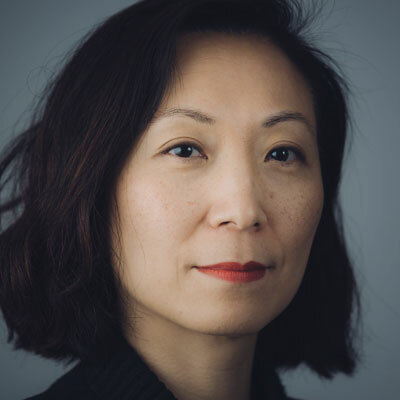 Rinchen currently serves as a member of the ADCOLOR Advisory Board, an organization dedicated to tackling issues of diversity and inclusion across advertising, technology and creative industries. And she is a liaison to help advocate for the emerging talent initiatives and hiring at Apple. In her free time she is co-producing on a forthcoming podcast about ethnic ambiguity, diversity, the importance of community and healing through self-care. It’s called Mixed Emotions and will most definitely include the music that gets us through. Hailing from an extensive creative agency background in London, UK, Roo Yeshpaul Johnson has nearly a decade of experience in social media strategy and creative development in both a B2C and B2B capacity with brands like Unilever, Coors Light, Cadbury, MTV, Warner Bros., and more. Before discovering her passion for social media and digital marketing, Roo worked in television production for companies such as Endemol, MTV, and Tiger Aspect on well-known shows such as the MTV Europe Music Awards, Big Brother and The Jonathan Ross Show. She has a bachelors in TV & Film production from Bournemouth University, one of the UK’s premiere institutes for media and broadcast degrees. Her years of varied work in social strategy, digital marketing, and film production with worldwide brands has trained her well in understanding the needs of clients with diverse audiences, industries, and products; all skills that she now lends to her role as Social Media Lead at The Summit Group in Salt Lake City, Utah. With over 12 years of event experience, ranging from collegiate program planning to non-profit fundraising to lifestyle conferences, Sioban currently runs the Customer Experience Program at TED Conferences. TED is a non-profit that creates innovative conferences based on "ideas worth spreading," and Sioban is responsible for ensuring an exceptional attendee experience in every aspect of the conference from registration through to post-conference data collection. She also is on the executive board of the office culture committee and a key decision maker in its Diversity and Inclusion initiative. A New Yorker with an Antiguan spirit, she graduated from Temple University with a Bachelors in Business Administration with her focus on Marketing. Sioban is passionate about creating events that resonate and benefit the attendees; events that stick with them long after they've left. Her background in client relations and attendee experience allow her to exceed the needs of attendees based on her knowledge of their industry and event goals. When not bringing her passion to her “day job”, she also works with non-profits and entrepreneurs to help create events that benefit their audience and promote brand and service awareness. She believes that no one should attend an event and not have a memorable and lasting positive experience.